I tried Innoluxe after using another well known brand of a similar product and I much prefer it! It leaves your hair both looking and feeling amazing! Loving Innoluxe so far! The hair is So soft and shiny and feels like bleach never even touched the hair! Great website. Fast order process. No shipping costs! Am loving using INNOluxe , so much better than olaplex !! It's early days yet, but with my ends bleached up to 9 levels of lift, without constant maintenance and care they quickly feel dry and matted. 2 pumps of the Innoluxe elixir leave in conditioner on the mid-lengths and ends and my hair *almost* feels back to its virgin self again! 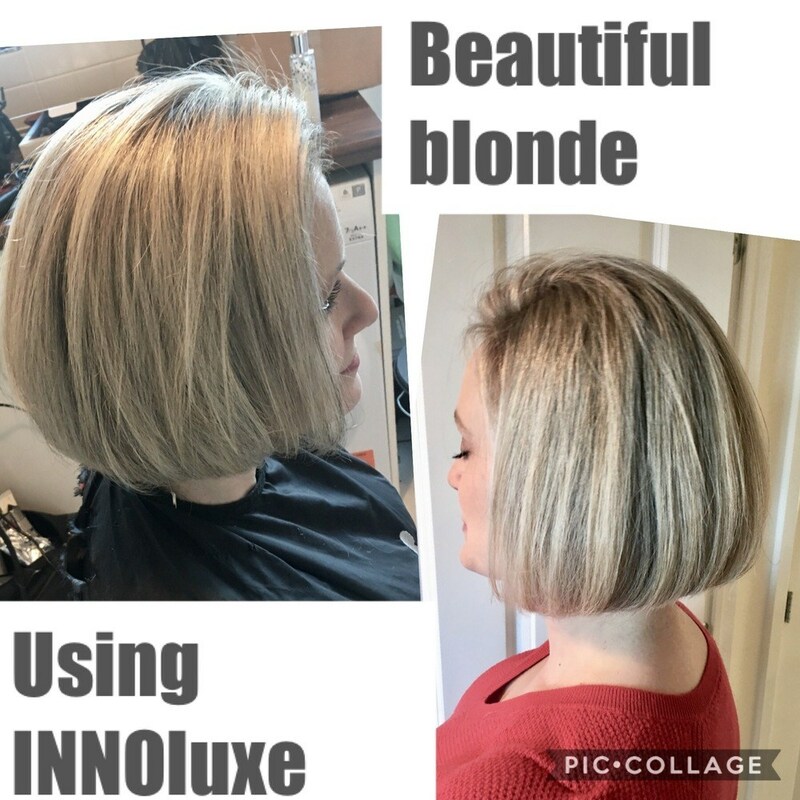 First time using Innoluxe on Saturday and I absolutely loved it!! So did my clients I will never do a colour without it again! Finally an easy to work with product that works. Thank you. Website is easy to use and quick. Very good product. I’d even say better than olaplex. Love INNOluxe. I’m a freelance hairdresser and my clients are loving it. The shine is incredible . It’s easy to use and with the v2 box is easy to carry around to clients houses.